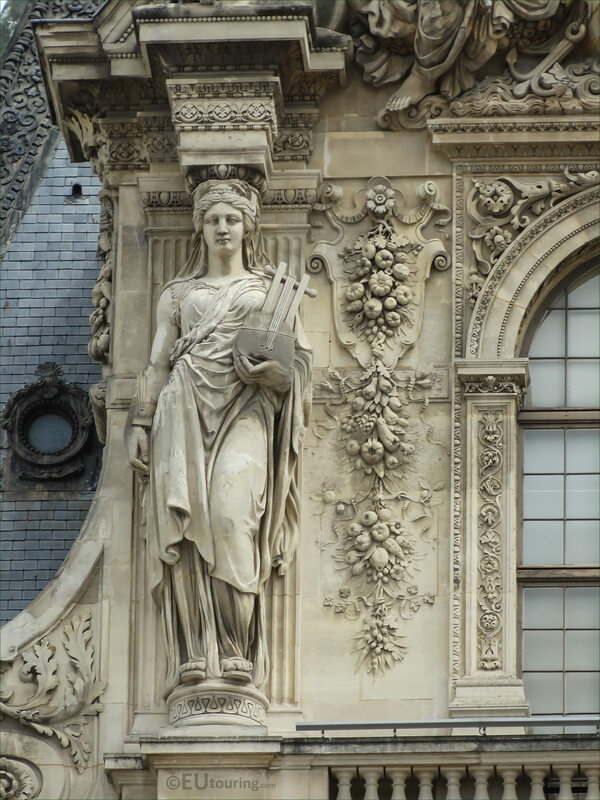 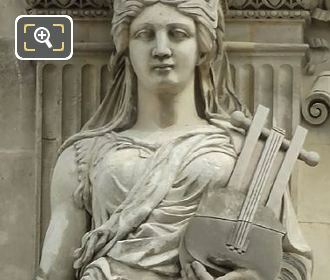 This time we took these high definition photos showing a statue known as a Caryatid, which is located on the Pavillon Turgot wing of the Musee du Louvre in the 1st Arrondissement of Paris, and this was produced by Eugene Guillaume. 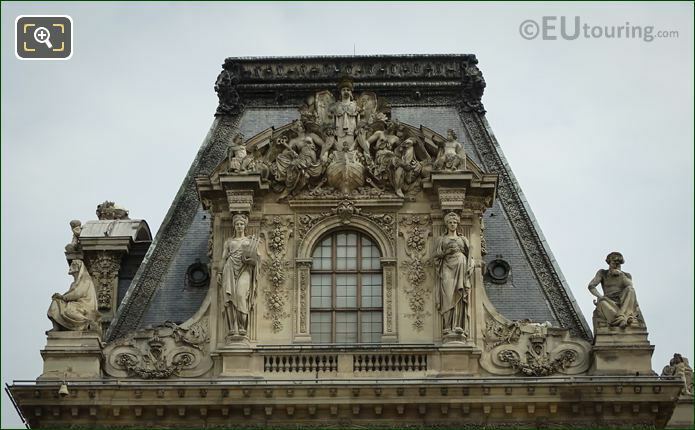 So this first image shows the elegant female figure known as a Caryatid, and as you can tell, this is positioned to the left hand side of a dormer window on the Pavillon Turgot, which can be seen from the Cour Napoleon and was put in place during the restoration of the former Palais du Louvre. Now this next HD photo shows a closer view of the caryatid statue and the detailing that went into this, which was produced by Eugene Guillaume who became a renowned and prolific French sculptor, with his works being found on buildings, in public places and in museums all over France. 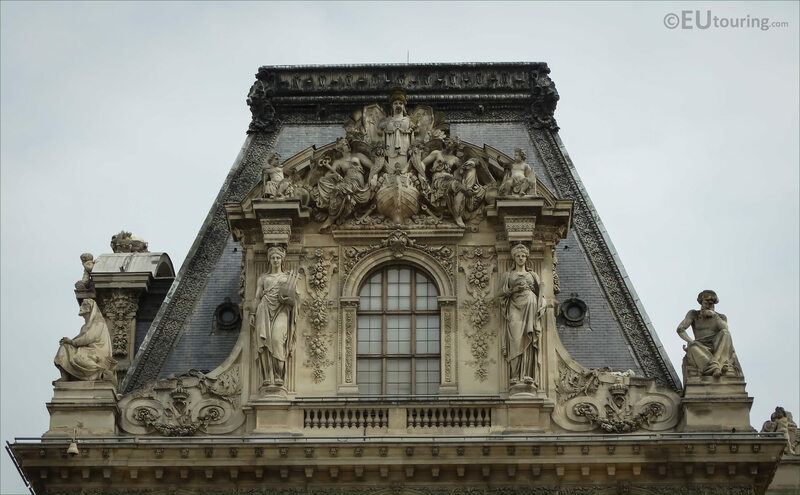 Yet this last photograph shows the whole top part of the Turgot Pavilion, and as well as producing this particular caryatid, sculpted for an elaborate support instead of a column to hold the entablature and pediment, Eugene Guillaume also sculpted the caryatid on the opposite side of the dormer window, plus the pediment detailing above. 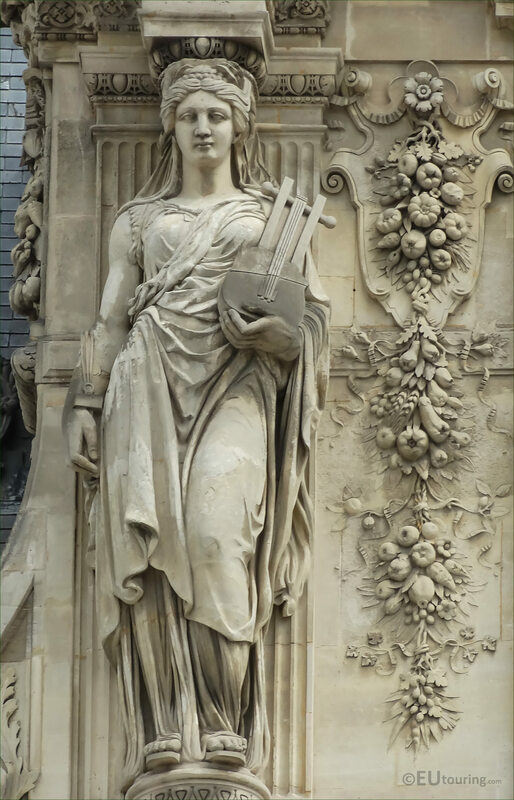 However, you can also get to see other works by this artist at other famous tourist attractions in Paris such as the Palais Garnier opera house and the Fontaine Saint Michel, plus the Musee d'Orsay also holds many of his statues and sculptures, but there are also incredible monuments by Eugene Guillaume in places like Dijon, Clermont-Ferrand, etc, who carried on working up until he passed away in 1905.